Segments are a great way to minimize the effort needed to create email lists. Once created, you simple attach the segment to an email list, and then attach the email list to an email campaign. Segments are dynamic. This means, for example, that if your segment is setup to filter all accounts of type "Lead", and currently you have 5 leads, if tomorrow you add another account of type lead, the segment will automatically include this new account totaling 6. Next, specify a unique name for your segment, indicate the segment type. The CRM area of rave7 uses 2 database. Once for customers and one for contacts as the system supports adding multiple contacts to one customer/account. 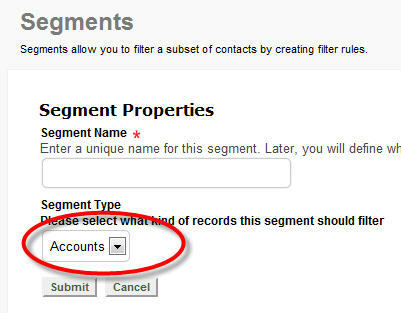 Select account if you want to filter records from the customer database. 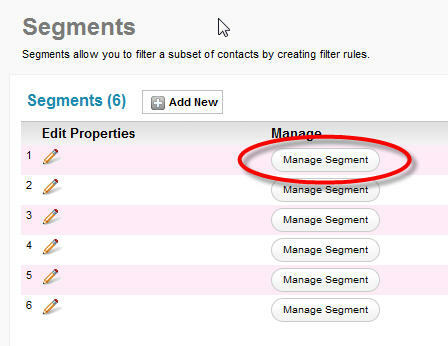 Select contacts if you want to filter records from the contact database. 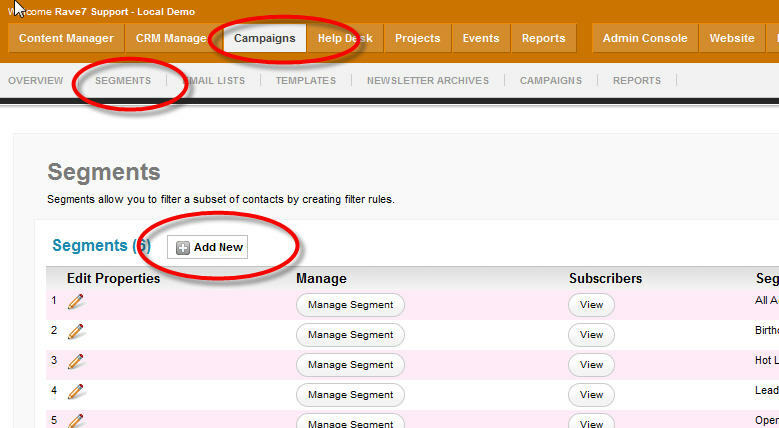 Next, click the "Add New Rule" button to add a new rule/filter to the segment. You can add a many as you'd like. The you can indicate what field in the database you want to query from the "Field name" drop down box, and how you want to query that field using the "Operator" drop down box. Lastly, specify the value you are looking for in the "Field Value" text box. Hint: For date field, you can enter 'x days ago' or 'x days from now' to query dates in the past or future.